The Coroners and Justice Act 2009 has created the office of Chief Coroner, plucked at the very last minute from the Coalition’s ‘bonfire of the quangos’. On Friday, the first Chief Coroner, His Honour Judge Peter Thornton QC, delivered The Howard League for Penal Reform’s 2012 Parmoor Lecture. Six weeks into his post, Judge Thornton presents a frank exposition of the challenges facing the system he now heads, sets out what he considers to be its purpose, and charts its remarkable genesis. Coroners have, it seems, occupied for the best part of a millennium a peculiar pocket of public life, adapting their function and purpose over time in a manner not always understood by those working outside the system, or even by they themselves. From the Articles of Eyre to the 2009 Act, via Robin Hood and Richard the Lionheart (the latter does not come out well), the Chief Coroner describes how ‘crowners’, as they were originally known, have evolved from lay magistrates or collectors of fines, to the judges they are today. Judge Thornton’s trip through the annals of coronial history illustrates the journey the coroner has taken, from protecting for the King the spoils of the business of dead bodies, to delivering important answers to the loved ones of those who die in unexplained, unnatural or violent circumstances. It is a role particularly crucial to our democratic society where the state is involved in a death either through direct responsibility for causing it, or by failing to prevent it. The purpose of the 21st century coroner is identified by the Chief Coroner himself, given the remarkable continuing lack of a stated purpose within the 2009 Act or anywhere else. The purpose he sees reflects a modern coroner’s system, one that not only looks back but also forward, one that lies in 1) the need to know, and 2) the prevention of future deaths. The need to know extends not only to family members and those who knew the deceased, but also to the public, something some journalists argue has hitherto been prevented within some coroners’ courts. He says the post-2009 system will afford greater flexibility, with a rationalisation of coroner areas replacing the “rigid jurisdictional concept of coroner territoriality.” He points to a new emphasis upon the whole investigation into a death rather than just the inquest. A more coordinated complaints system and compulsory training are other positive developments, with the Judge vowing to reduce delays within the system and to improve quality and consistency. The purposes of such an investigation are clear: to ensure so far as possible that the full facts are brought to light; that culpable and discreditable conduct is exposed and brought to public notice; that suspicion of deliberate wrongdoing (if justified) is allayed; that dangerous practices and procedures are rectified; and that those who have lost their relative may at least have the satisfaction of knowing that lessons learned from his death may save the lives of others. The influence of Article 2, particularly post-2000 and the coming into force of the Human Rights Act 1998 (HRA), has even resulted in two types – perhaps even two tiers – of inquest – the Middleton inquest where there is an arguable breach of the state’s positive duty to protect life, and the Jamieson inquest where it is not. Jeremy Hyam has previously argued that such a categorisation is unhelpful, and that Article 2 is relevant also to the Jamieson inquest. That much is plain, given the far-reaching positive and negative duties that Article 2 encompasses whether a death implicates state bodies, private actors, or both, and whether the death in question occurred pre- or post-HRA, in Birmingham or in Basra. We speak for the dead to protect the living. The Chief Coroner delivers an impassioned vision of this modern purpose. But the frustration over the missed opportunities of the last forty years is palpable if not express. Despite repeated recommendations for a unified operational structure, coroners continue, even post- the 2009 Act, to suffer from what Judge Thornton describes as the “localness” of the system. Whilst policy is set by the Ministry of Justice, coroners are appointed by local authorities and are thereafter subject, on an operational level, to funding and resourcing by that authority as they plough an independent and fairly lonely furrow in isolation from their hundred or so coroner peers. The tension between the need for independence and impartiality of these judges, and the ever-present external influence of local purse strings, is clearly problematic. It has also led to criticisms in terms of the consistency of inquests nationally. Judge Thornton seems to rue a ‘major casualty’ of the change of government – the removal of the Chief Coroner’s appellate jurisdiction that one might have expected to help increase the quality of final decisions and ensure heightened consistency. Is the current patchwork of coroners working across a loose and largely meaningless national ‘Society’ the way to achieve the aims of Judge Thornton’s coroners system? Viewed against the recommendations of Brodrick (1971), Luce (2003) and Smith (2003) for a unified system, the creation of a Chief Coroner at national level is a modest development. Perhaps the streamlining of the coroners system into one cohesive, national administration would make meeting the international, and statutory, investigative obligation a more straightforward one to meet. It might also help a Chief Coroner ensure quality and consistency of decision-making nationwide across a forum that has over the centuries become increasingly important in the eyes of the public. Thank you all very much for this great help. This has been most useful. Rosemary – there is also some means of going to a court and asking a judge to order certain documents be handed over to you or him. There is a specific form – you have to show him/her which statute gives you the right to these documents, and b) which party holds them, but has failed to provide them within a given time frame. Staff at most courts would be happy to advise you….it is very difficult being a litigant in person (been there, done that). Best of luck. Section 35 and Schedule 8 of the 2009 Act which constitutes and appoints the Chief Coroner and his assistant is obviously in force. Very little else is. In fact, it is remarkable just how much of the 2009 Act is yet to be brought into force by the Government and how much of the 1988 Act remains extant, or indeed, how long it will continue to remain extant. Clearly, the Government believe that a Chief Coroner is a good idea. Some do not. 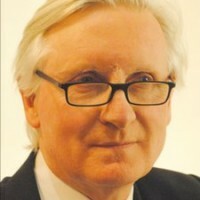 At least the Chief Coroner is answerable to a Politician and has the ability to ensure that Coroners such as Andrew Walker (whose critical judgments did not cement any long standing friendship with the Secretary of State for Defence) do not unduly proliferate and that the positive duty of of a full, effective and above all, impartial investigation into deaths, particularly at the hands of the state as required of Article 2 does not stray too far from that which the government believes is a full, effective and impartial investigation. You do not need to go via the S. 13 route if the new evidence came to light after 12 Nov 2009, which is the date the Coroners & Justice Act came into force. or perhaps you have to use the S.13 route, and the Lord Chancellor instructs the Chief Coroner…. Thank you very much for this informative analysis of the Chief Coroner’s role. Do you know if Investigations and/or Inquests can be done of people who died before the 2009 Act would be under the new system or the old system? I am the Executrix for someone who died before that time and new information came to light in 2011 which led me to seek an Inquest. The Coroner in July 2011 informed me that I would need to adduce all the facts of the case before any investigation or inquest would be opened. But herein lies the problem – the relevant health and social care bodies have not supplied me with all that I have been requesting so that I cannot supply all the information, even though it should be given to me as the Legal Representative. So I am in a “Catch-22”. I am not, of course, asking for any advice, but I am only pointing out that it is not easy to get an Inquest.